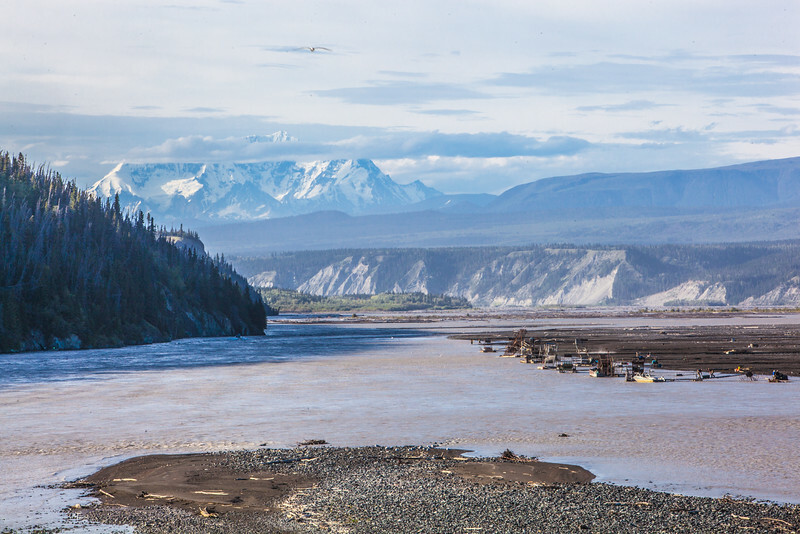 Subsistence fishwheels populate the western shore of the Copper River near the town of Chitina. Mt. Blackburn, at 16,391 feet, looms in the distance.